Founded in 2007 by Harry Bartlett, ConcordConserves.org is a 501 (C) 3 nonprofit specializing in local, environmental action. 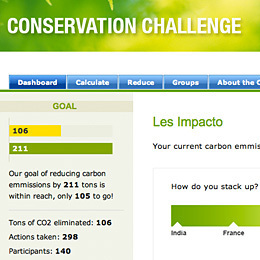 The primary focus is a website comprised of a carbon calculator and environmental resources. 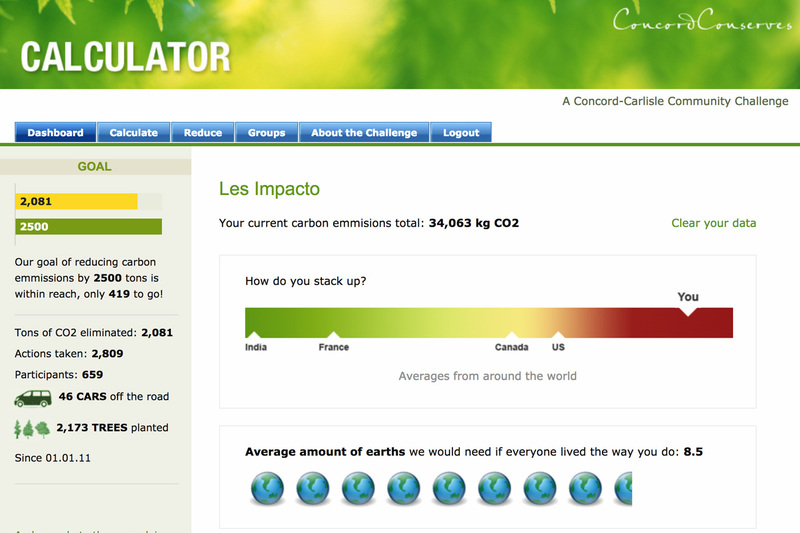 "The Concord Conserves Carbon Calculator is an excellent addition to the curriculum at CCHS. Along with Concord Conserves, the high school students are helping to make Concord and Carlisle greener communities." Calculate: Displaying the size of a person's carbon footprint is based on the size of their home, energy usage, food, and the amount of trash produced as well as other factors. Reduce: Listing over 50 actions, promoting local town programs. Compare: A dashboard that compares an individual's footprint to others in Concord, Carlisle, and the rest of the world as well as the ability to join groups and compare reductions with others. Supporting the Concord Bottle Water Bylaw that bans single serving plastic water bottles. This included designing a logo and creating the ConcordOnTap.org website. Running a conservation challenge to reduce carbon including a conservation fair held at the Harvey Wheeler community center. The fair had a variety of businesses such as local CSAs, green building companies and Town of Concord energy demos.